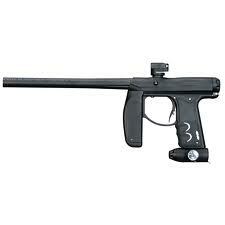 If you like the speed and sleek body style of the Invert Mini, you will love the Empire Axe paintball gun. The Empire Axe is a buffed up Invert Mini; a bit larger and much more of what you like about the Mini. Players are ranting and raving about this marker's high rate of fire, lightweight body and accuracy all over the net. While they look so similar, one can't help but compare the Axe to the Mini. When doing so, you quickly find out the Empire Axe is an Invert Mini that has been greatly improved upon. One aspect of the Mini that has been improved is the presence of an On/Off Regulator on the ASA of the Axe. The Empire Axe also features a 12 inch barrel but shoots like it's some kind of a sniper. The Axe is super easy to take apart for cleaning & maintenance; getting to the bolt is simple with a quick twist and gently tug. No tools required. 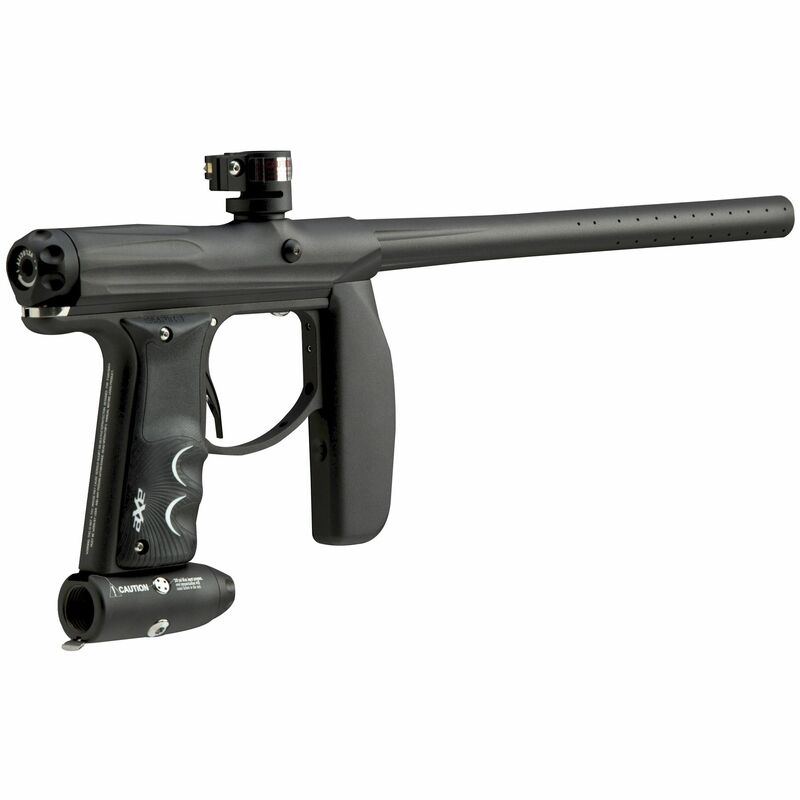 The grip frame of the Empire Axe paintball gun is nice and large, offering plenty of room for players with any size hands. The trigger has a smooth, easy pull to it - ready for feathering tons of shots at a ridiculous speed. The front grip is ergonomically shaped and comfortable to hold for extended periods. You will absolutely love the sleek body design with no external hoses or air lines. Multiple firing modes also give you plenty of options and of course - the speed of fully automatic action. Player's reviews of this gun are that, for the price, it's by far one of the best competition paintball markers out there. 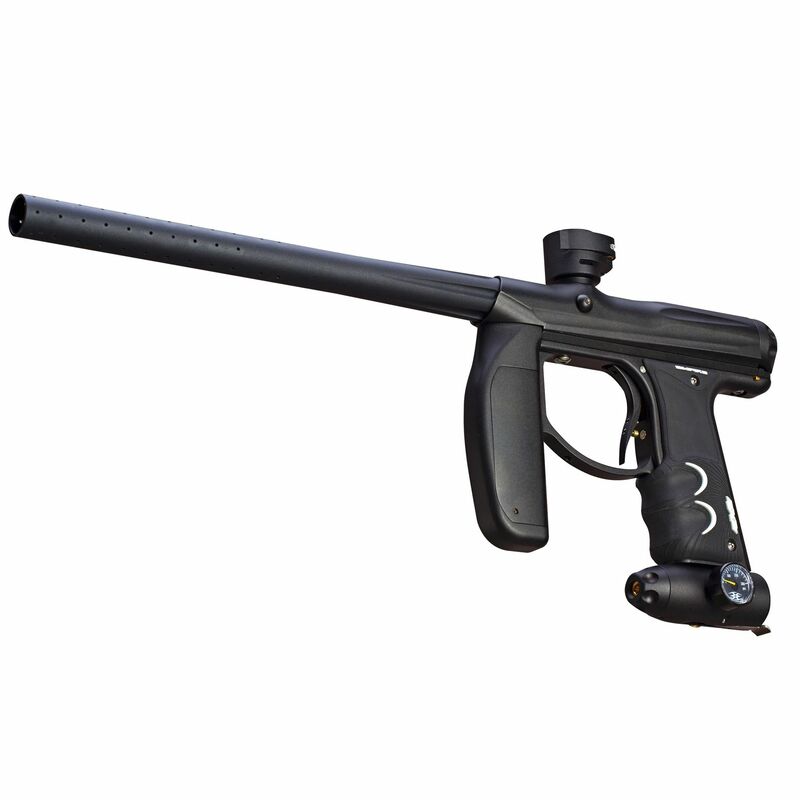 Buy the Empire Axe paintball gun from ChoicePaintballGuns so you can have the best tournament grade, high performance paintball gear on the field. Shop for your most important equipment with our online store and have your favorite new marker conveniently delivered right to your door.